All fabrics are all designed to keep you cool and wick sweat away from the body quickly. This dramatically decreases the weight as compared to mositure soaked equivalents. 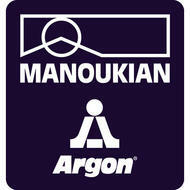 Manoukian-Argon Ink - Manoukian was founded in 1948 in the heart of the Como district, a worldwide reference in the textile field, for which it has become the testimonial of screen printing all over the world; Argon was founded in 1951 and headed immediately towards the graphic industry, starting the study and development of the UV inks range since the early 80’s. Their rich history, their many years of experience, their technological know-how, and their innovative research and development programs have made that Brand one of the leading brands in the ink world. CoolMax® is the registered brand of the Invista Company. CoolMax® transports moisture away from the body to keep the wearer cool and dry on hot days, while the fibre structures provide warmth on colder days, helping to optimize performance. Used to produce our jerseys. 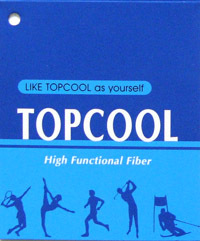 TOPCOOL is a new product. Moisture is taken to the surface easily via capillarity like action where it evaporates more quickly as a result of an increased fabric surface area. TOPCOOL fabric will always feel cool and comfortable no matter how intense the workout. Used in some of our jerseys. YKK is the world's largest zipper provider -YOSHIDA ZIPPER. "Little zipper, big different". Used in all of our jerseys and pants. 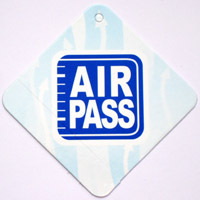 Air Pass series fabrics are the next generation of technical fabrics that protects against all but the worse weather conditions and delivers extended breathability to enhance your outdoor experience. Air Pass series fabrics enable moisture vapour transmission faster than other waterproof breathable shells and reducing the risk of heat stress build up.Used in some of our jerseys. 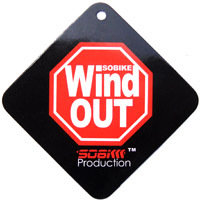 WINDOUT is a high polymer polyester coating; it is both water-repellent and wind proof. WINDOUT coating is very light. Used in some of our jerseys, pants and accessories.